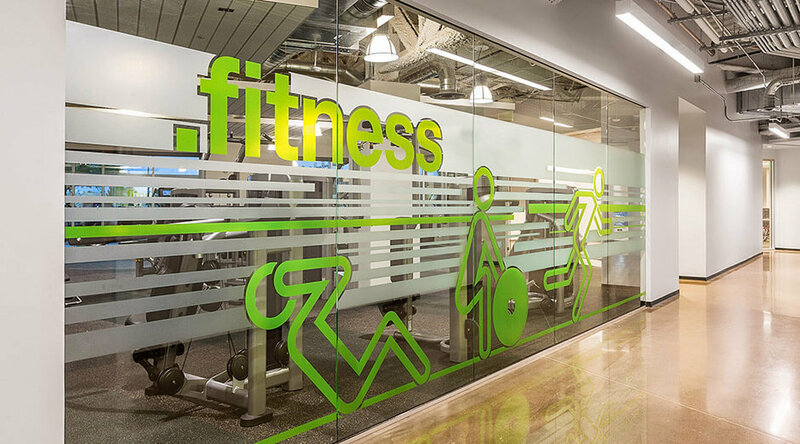 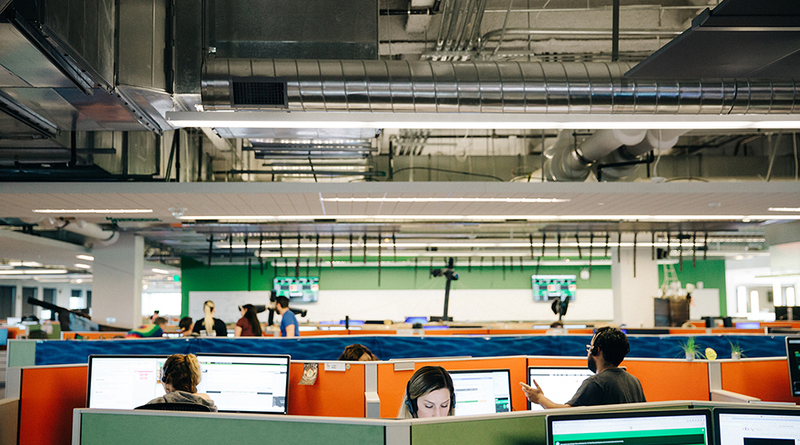 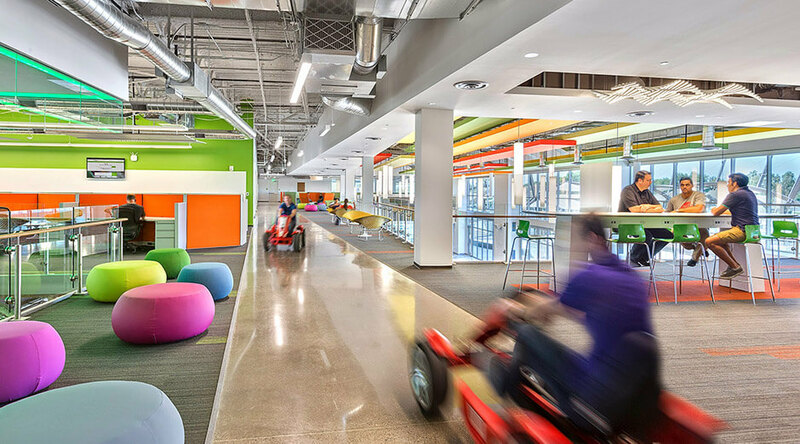 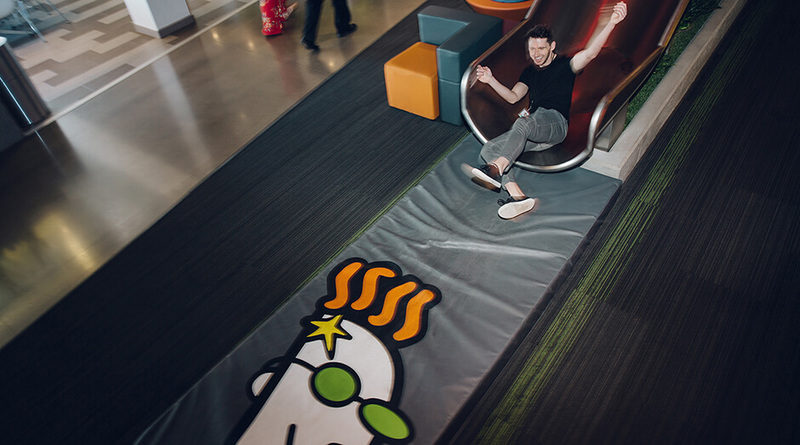 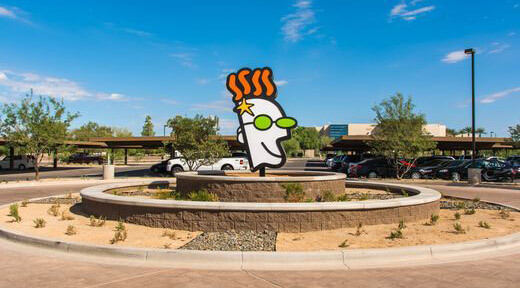 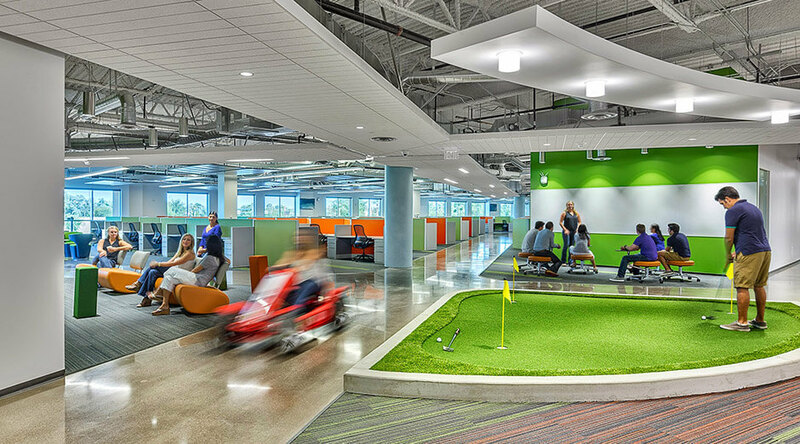 At 150,000 sq feet, GoDaddy's Tempe office has the space for some great employee-friendly amenities such as a fitness center, locker rooms, yoga room, game center, indoor climbing wall, peddle go-karts, a go-kart track, putting greens, GoDaddy bicycles, outdoor basketball and sand volleyball courts, a soccer field, and a full-service kitchen with on-site chefs! 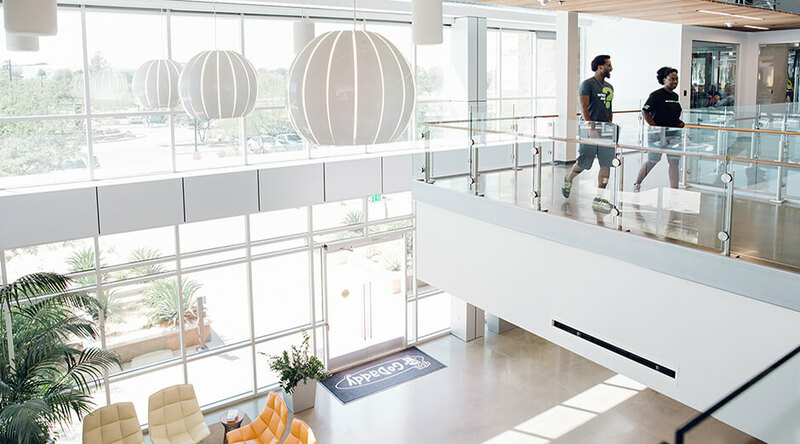 Caring for the environment is important to us as an organization, which is why the Tempe office is equipped with solar panels - enough to power all core technology in the building. 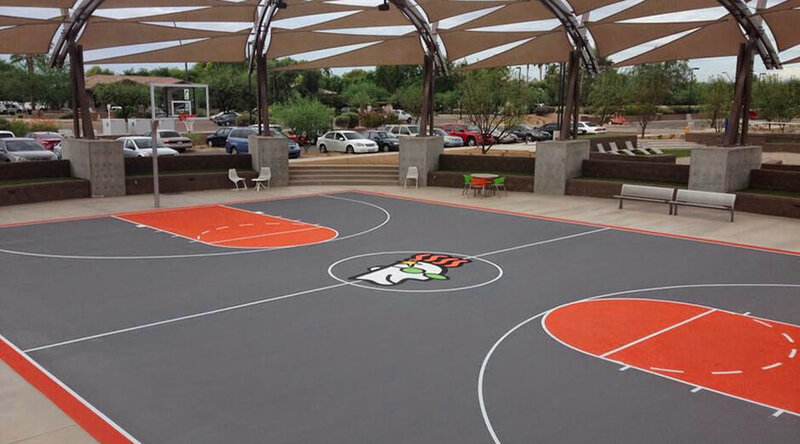 This includes solar panel covered car ports, keeping your car cool while providing green energy to help keep you cool at work too. 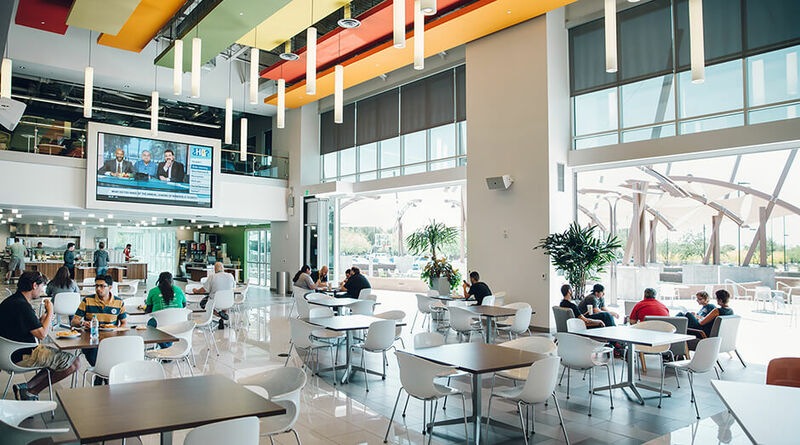 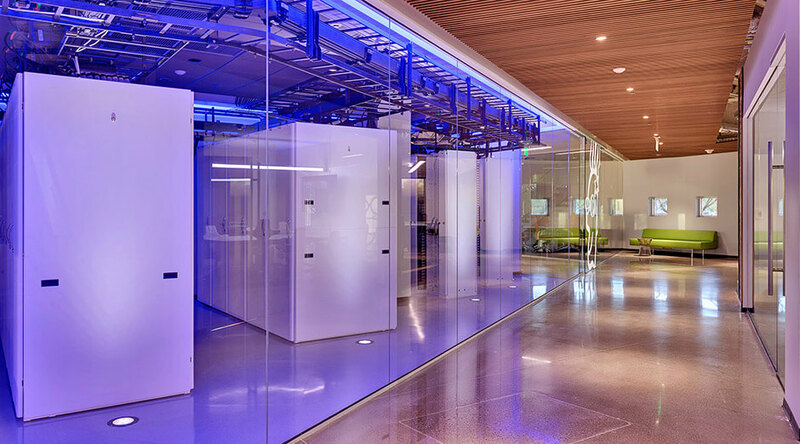 To further conserve resources, the building also features a magnetic chiller A/C system, LED and other high efficiency lighting, and a landscaping system that utilizes reclaimed water.